Glenn Close wants to change the media's stigma on mental health. Glenn Close believes the character she portrayed in “Fatal Attraction” contributed to the stigma associated with mental illness. Renowned actress Glenn Close has been the talk of Hollywood this year over her moving speech at the Golden Globes for her best actress honor and for her potential to finally win an Oscar after seven nominations. “Fatal Attraction” co-star Michael Douglas thinks she’s overdue for an Oscar that and her work in “The Wife” deserves recognition. With all of the praise Close has been receiving over her latest film, the public still has a soft spot for her 1987 psychological thriller with Douglas. She recently told USA Today she’s willing to remake the film with an interesting twist involving her character Alex Forrest. “What I think would be interesting is to literally tell the exact story but from her point of view. Because she's become a tragic figure,” Close told USA Today. “The View” co-host Sunny Hostin told Close on Friday that she always sympathized with Forrest, who becomes obsessed with a married man portrayed by Michael Douglas. Close, however, noted that not everyone saw her character in the same way as Hostin. “Most people, it’s very easy when someone is being perceived as mentally unbalanced, it’s very easy to make them the antagonist,” Close said. “That has met the stigma that has been perpetrated in movies like that, and I was part of it,” she continued. Close doesn’t think the character she created for “Fatal Attraction” was a psychopath but rather someone in need of help. 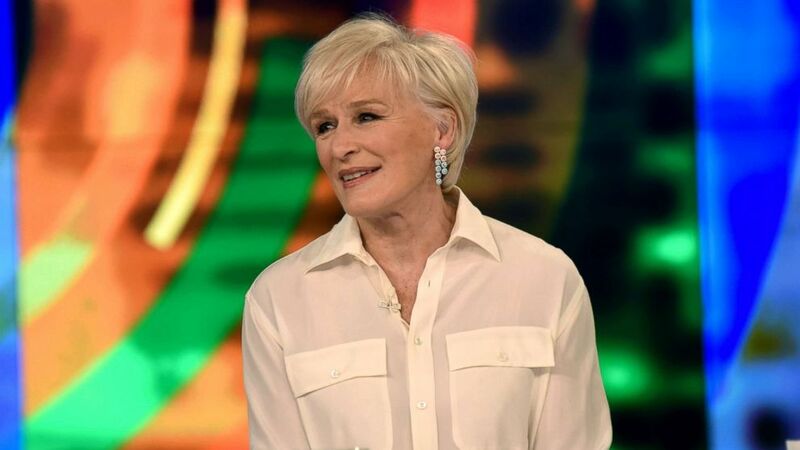 (Paula Lobo/ABC) Glenn Close discusses the stigma associated with the mentally unstable in media on "The View," Feb. 8, 2019. Longtime co-host of "The View" Joy Behar asked Close about the mental state of Norma Desmond, whom she won a Tony for portraying in 1994’s “Sunset Boulevard." “Do you think she’s mentally ill?” Behar asked. Close went on to explain that Desmond’s character was like a “rockstar” in those times and that was her mentality. In 2010, Close started the mental health foundation Bring Change 2 Mind in part to challenge stereotypes surrounding mental illness. She told “Good Morning America” co-anchor Robin Roberts in 2015 that her family didn’t take mental health seriously, so she feels deeply connected to the cause. “One day, my sister — we were visiting my parents — my sister came up to me, and she said ‘I need help. I can't stop thinking about killing myself.’ And that pulverized me,” Close told Roberts. Close's sister, Jessie Close, was diagnosed with bipolar disorder at 50 years old.